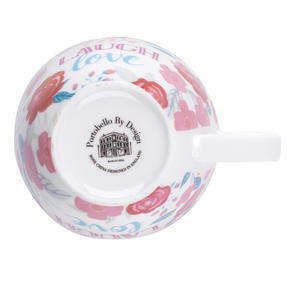 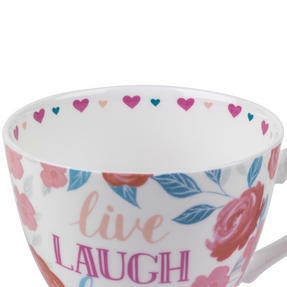 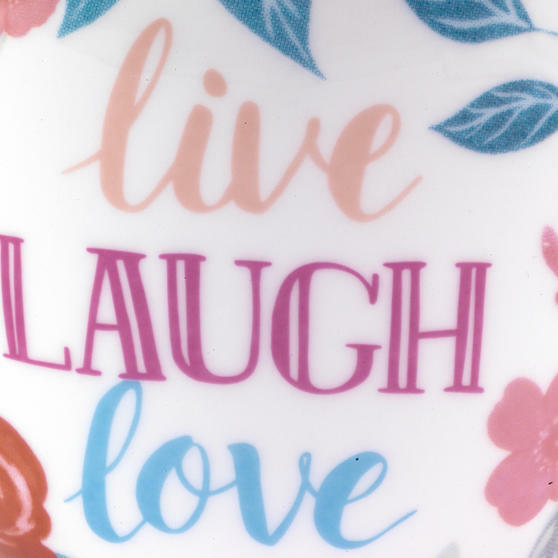 From Portobello by Inspire, this bone china mug provides a luxurious way to relax, with the words ‘live, laugh, love’ printed on the exterior. 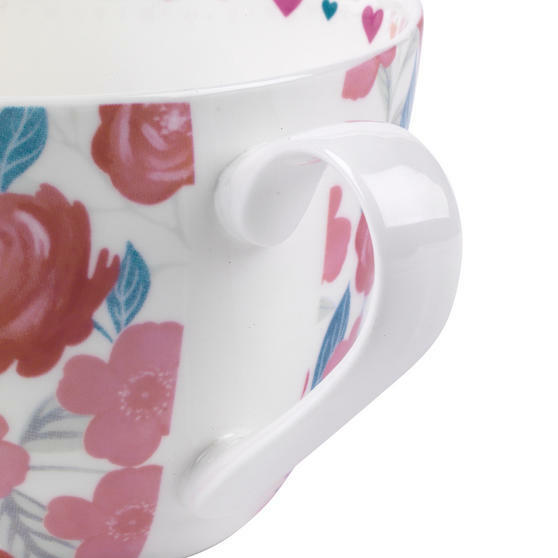 With elegant features and watercolour painted flowers and hearts, this mug looks charming in any setting. 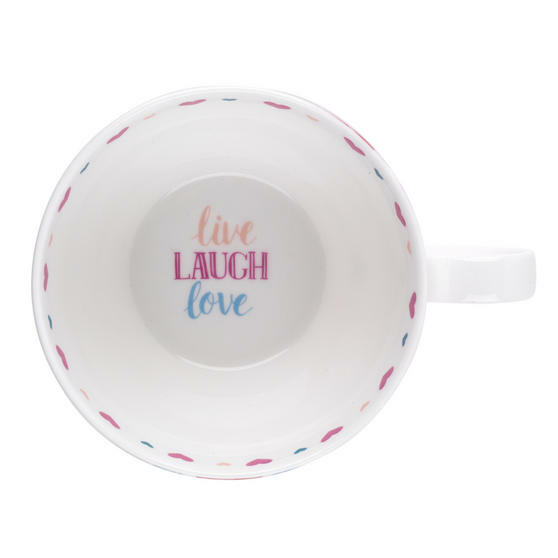 Crafted from bone china with a gloss finish, it is microwave and dishwasher safe, making it practical for everyday use and convenient to clean. Ideal as a gift for a loved one, this beautiful mug is the perfect addition to every home. This high quality Portobello Wilmslow mug, made from fine bone china with a gloss finish, looks great and is perfect for everyday use. 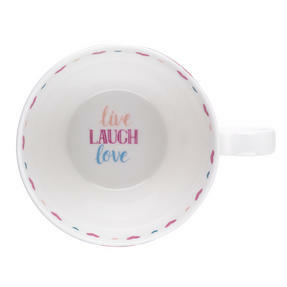 Wonderfully practical as well as pretty, the mug is also suitable for use in the microwave, so you can warm some milk or soup easily. A generously sized 9h x 12.3w cm, it comfortably holds 350ml - 400ml if filled to the brim. Perfect for when you need a large coffee. 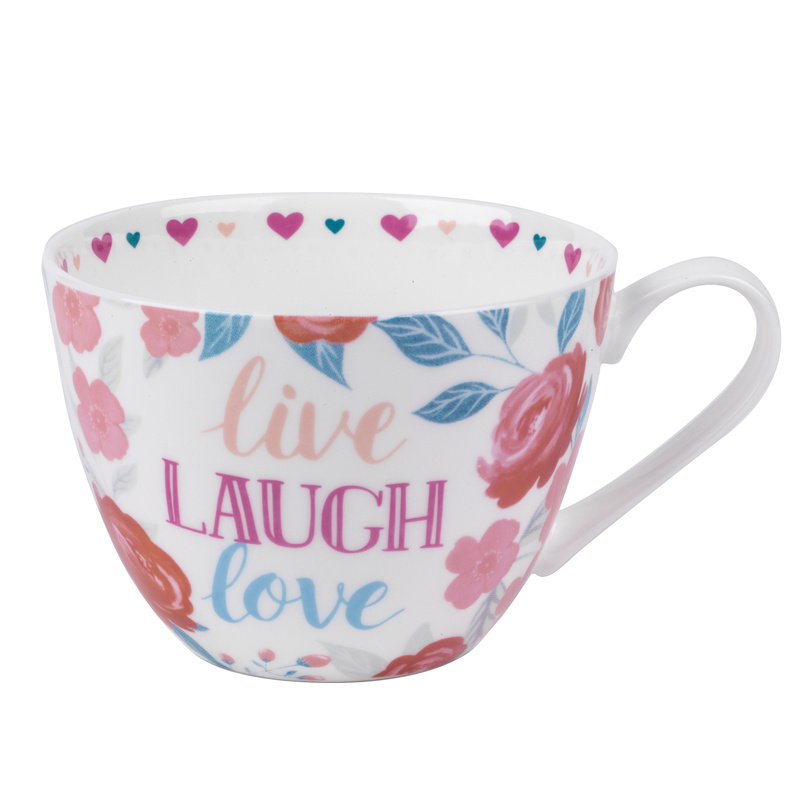 Whether for work, a friend or yourself, this delightful mug is guaranteed to impress wherever you choose to use it.